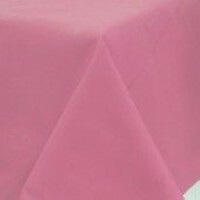 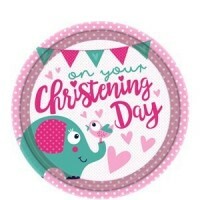 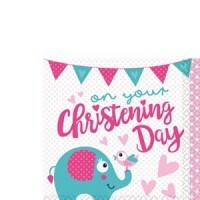 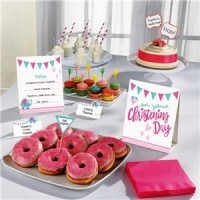 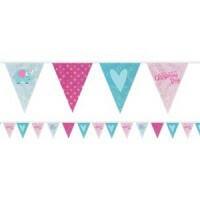 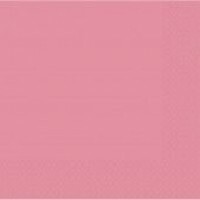 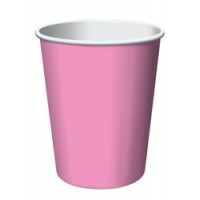 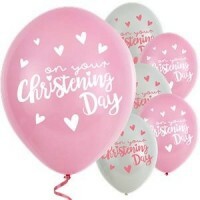 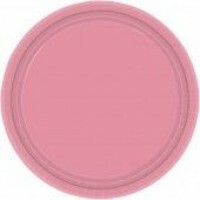 Christening Day Pink is a modern stylish range with delicate pastel pinks and soft blues. 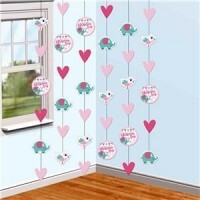 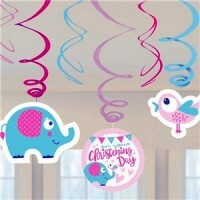 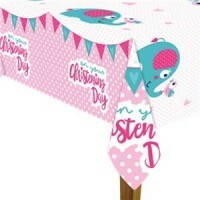 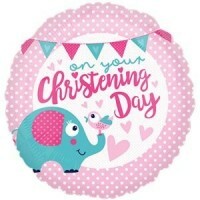 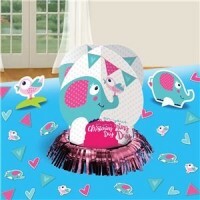 This theme is decorated with a pink and white border, pink writing and a delightful blue and pink elephant with a little bird on the end of her trunk. 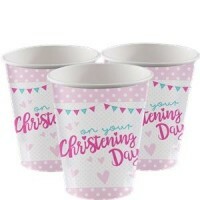 This range has everything you could possibly need for the christening table including plates, napkins, cups, table covers and table confetti. 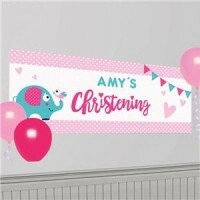 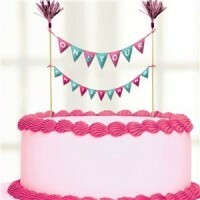 We also supply matching banners, balloons and hanging items to decorate your venue.